Most parents know that kids need to have regular physical activity, both to maintain a healthy weight and to stay healthy. 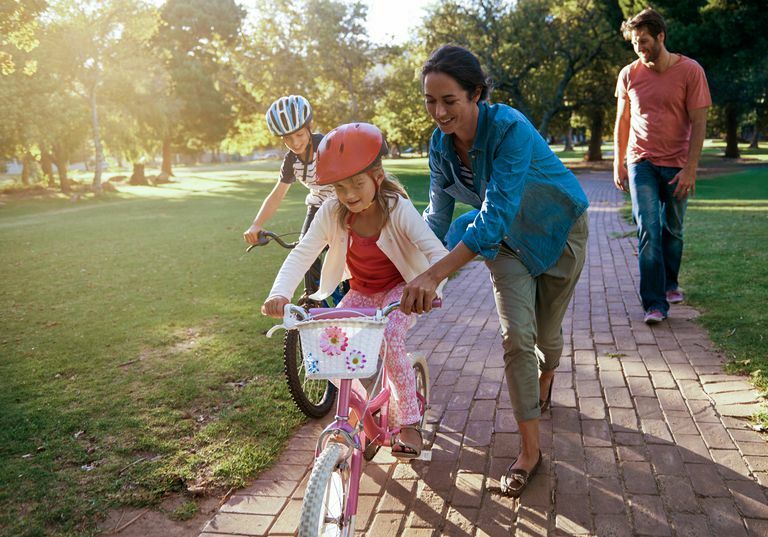 In addition to lowering your child's risk factors for coronary heart disease and diabetes mellitus, regular physical activity can help to reduce anxiety and stress, boost self-esteem, and help build strong bones and strong muscles. But how much physical activity is enough? In general, exercise guidelines recommend that kids should do at least 60 minutes of physical activity each day. While it might seem like it will be difficult to keep your kids active for an hour at a time, it is important to keep in mind that the recommendation for at least 60 minutes of physical activity each day doesn't have to be done all at one time. So your child could meet his physical activity requirements if he were to walk or ride his bike to and from school (20 minutes), play actively at recess at school (20 minutes), and then go to a gymnastics class after school (20 minutes). And although it is possible that your kids can be active on their own, getting them signed up for an individual or team sport is a great way to help them meet their daily physical activity requirements. Parents can also help their kids be physically active by setting a good example and being active themselves, joining their kids in active family outings, and setting limits on screen time. Active free play games, such as playing tag, and participating in most youth sports, such as soccer, karate, and tennis, would also usually be considered aerobic physical activities. At least three days a week, your child should be doing some more vigorous intensity physical activities, like running or bicycling at a fast speed, that should get him breathing harder and his heart beating faster than other less intense physical activity, like brisk walking or bicycling at a slower speed. In addition to aerobic activities, kids should do some age-appropriate muscle-strengthening physical activity at least three days a week. Active free play games, such as playing tug-of-war, and for older kids, doing push-ups, pull-ups, and lifting weights, would also be considered muscle-strengthening physical activities. playing basketball, gymnastics, tennis, and volleyball, etc. Active free play games, such as playing hop-scotch, would also be considered bone-strengthening physical activities.